“After the Spiritual Honeymoon, there is a coming to terms with a new reality and way of being. With spiritual awakening your motivation falls away. Your personal will drains out of the system – to achieve, succeed, to be right, to be recognized. We can’t prepare for this. For most people there’s confusion as it disappears and flows out of you. Your references of what to do, why to do it, how to do it disappears. There is no personal desire. You don’t know what you want. This is a limbo zone. There is relief from the relentless tyrant and inner critic driving you. Yet the new energy hasn’t come in yet. It would be great if this universal direction appears, but for most people it doesn’t happen like this. There are a lot more people in this No Man’s Land now. I heard these words from Adyashanti and they really resonated with me. I feel like I too have experienced a no man’s land of awakening. This is a place to learn acceptance, being vulnerable, and above all trusting in the unknown in a new way. … And in the meantime I continue to teach yoga and coach my clients to bring them to their middle ground, discover new perspectives and find acceptance and peace within themselves. From this place, anything becomes possible. 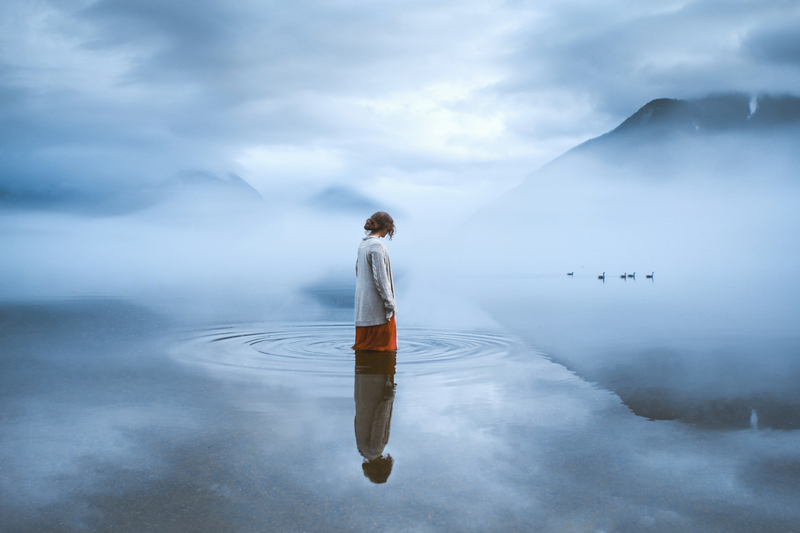 I am grateful to have found these wonderful soulful photographs by Elizabeth Gadd. They capture this moment of pause and reflection so beautifully. Hi Val, the photos are really breathtaking. Chaging, transformation, awakening…, we are always trying to be better, to reach some balance in our lives. Beautiful post! Sadly, Val, these in between transitions are often, too often, defined as if there is something wrong with the person, when in actual it is a sign of health and movement. I have a deep respect for those who able to sensitively discern and walk with people going through these challenging moments in life. The dark night of the soul is pregnant with all sorts of possibility provided it is perceived in that way. Great post Val. Thanks for sharing this helpful Adyashanti quote. That is a phase which sounds familiar to me. Falling away of the will, the motivation, the former map and directions. Everything felt flat, grey, listless. Kind of a depression. What’s the point of life anyway if nothing matters ? One day, I had this song playing in my mind, Bohemian Rhapsody, nothing really matters… Yes, nothing matters. Why am I here? But then I thought that the voice was right. Consciousness is appearing as matter. What a miracle! This resonates with me as well. Thank you for sharing such an awesome post. Wonderful post, Val. I think those soulful photos describe the incoming new energy that will move us forward and out of the no man’s land. Upward. YES! This resonates with me too. So many people are driven by Ego to achieve, succeed, to be right, to be recognized. Those desires fade away when we stop using Ego as a reference point. But we still need to fill our days. … And with this new awareness, we come to explore how we fill our days. For me, it’s about sharing and passing on what I have learned. Thanks Nancy for bringing this insight into the light! Loved this Val.. and I know how this feels.. 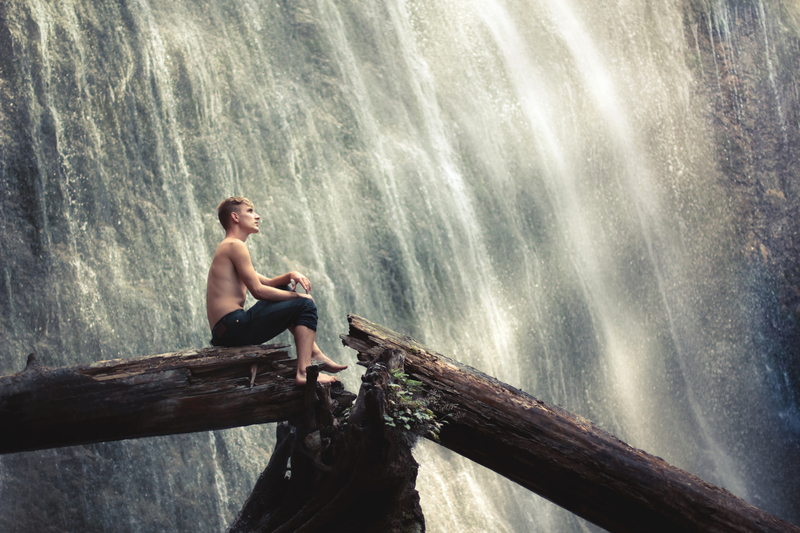 I went through a period when I was very active with my spiritual work and then there came a lull, and I began to doubt myself even more..
Then a medium friend of mine brought my guide through, whom she didn’t know I knew, 🙂 or did she know the inner turmoil I was going through as I felt abandoned at the time by Spirit… His message to me was this..